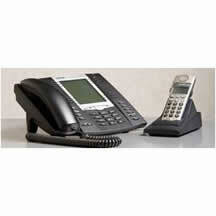 Aastra PBX/PABX Phone Systems | United Business, South Africa. The easy solution for enterprises with 10 to 30 users, BusinessPhone Compact is a stylish and handy plug-and-play version housed in a small stylish cabinet with five digital telephones. the stylish compact version but includes two extra slots for additional boards. Perfect for enterprises with up to 200 users, BusinessPhone 250 even enables an advanced CallCenter, with the capacity for up to 40 Call Center agents. 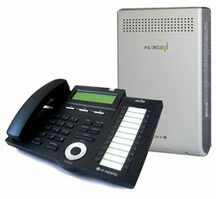 option of accommodating up to 128 users, it can be used for IP telephony as well as classic telephony. Same type of boards and telephones in all systems. The modular approach makes it easy to expand your system as you expand your business. Large system capacity and attractive prices. Small to medium-sized businesses get the right amount of telephony power at the right cost. Excellent investment protection. If your business grows, you don’t have to start all over again with your telephone systems. BusinessPhone grows with you. 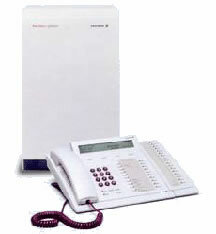 Advanced IP telephony. Even very small businesses can utilize the bandwidth in their LAN/WAN. Freedom of choice - we offer a wide variety of building blocks that can be adapted to fit the needs of virtually any organization. Whether in the office or on the move, users will have access to all their communication features and applications, regardless of location through a variety of terminals. 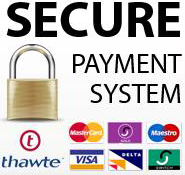 This will ensure a high degree of efficiency and productivity, thus ensuring top notch customer service. Open standards - Aastra MX-ONE takes your communication from a TDM-circuit-switched based solution to the standards based SIP and UC communication solutions of the future. Flexible deployment - Aastra MX-ONE can be centralized or distributed across 100's of sites, yet seen as a single system with complete feature transparency between sites. You don’t need to worry about making expensive investments all at once. Aastra MX-ONE can be implemented immediately or adapted to market shifts or to changes in your organization. 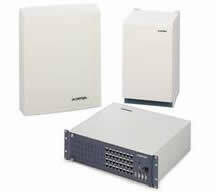 You can place new modules wherever you need to, either centrally or spread out over a wide network. Aastra 700 is a pure IP, Mobility and UC solution that meets the needs of today’s business environment in the SME segment. The call control, management and UC applications come pre-installed on a single server together with necessary media gateway resources neatly packed into a 3U chassis. This new offering provides companies with the flexibility to build a leading edge UC solution in a cost effective and convenient manner. Employees working from home or on the move can become reachable on the same number and benefit from similar features as when they are in the office. 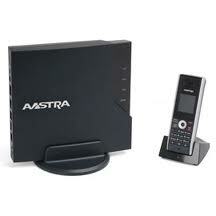 The Aastra 700 supports standard communications protocols like SIP on both the extension and trunk line and is available with a wide variety of terminals (mobile, SIP, IP, IP DECT, digital, analog, etc.) and applications.